Do you need to move your industrial workbenches for cleaning or to reconfigure your line? 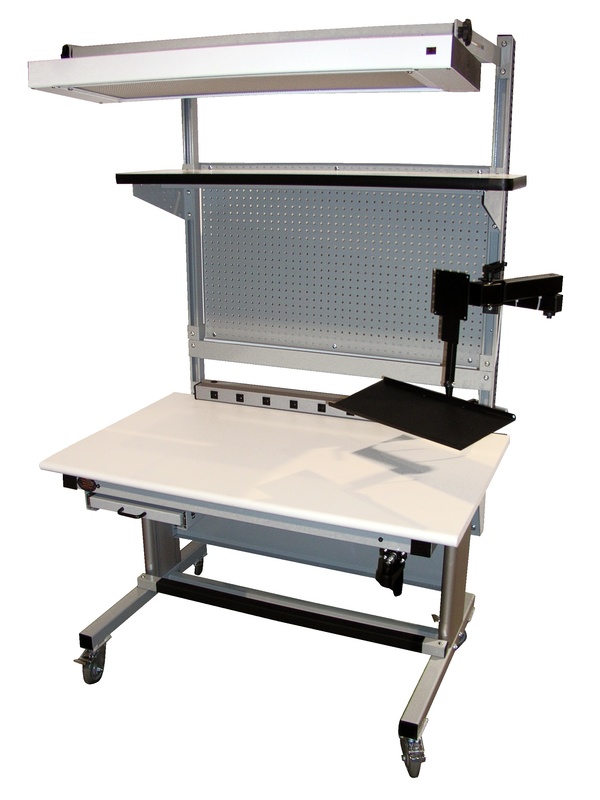 All Proline workbenches can be outfitted with optional casters to make the job easy. 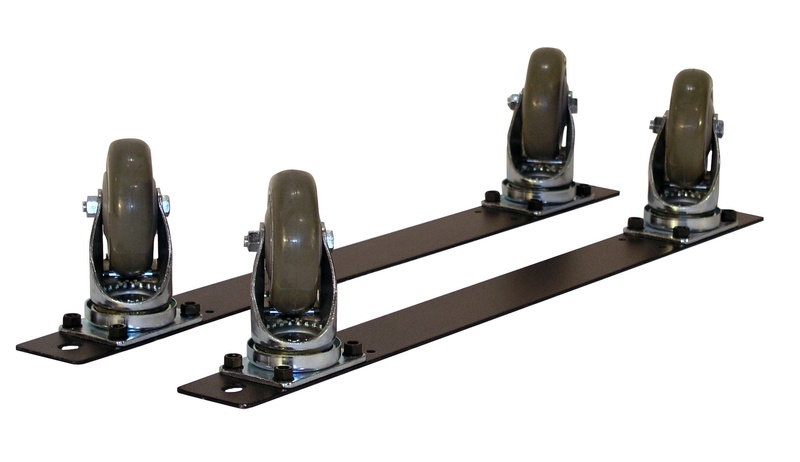 Is a set of four casters mounted to the HDLE-6 leg extensions this kit not only turns your production furniture into a mobile workbench it also turns into an ergonomic workbench with 6" of adjustment. 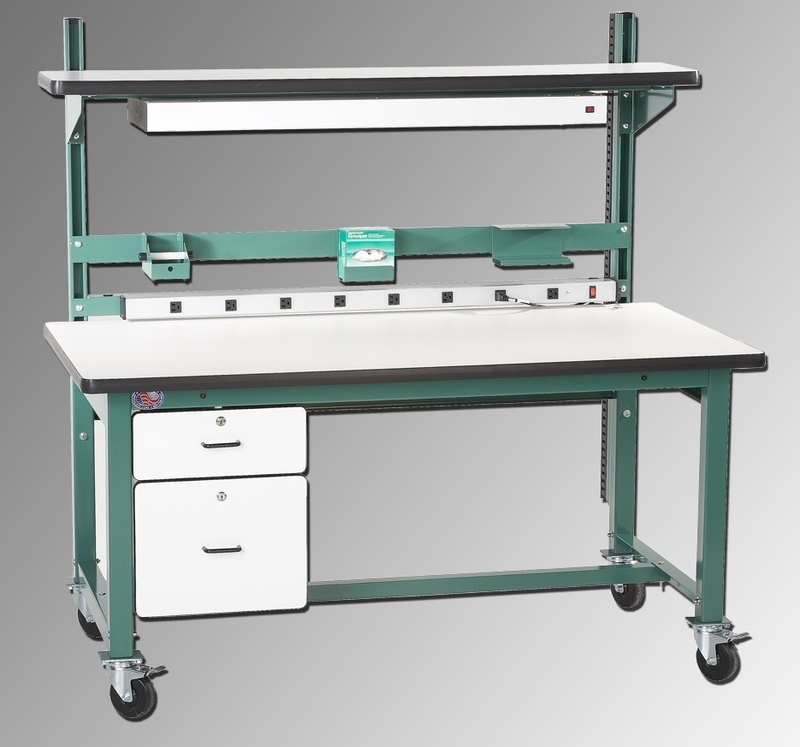 The TLC-4HDQS is In Stock and mounts to all four leg design workbenches that Proline offers. TLC-4HDQS mounted to an ESD workbench. Caster kit for cantilever benches. Above kits have black mounting brackets. Mounts to the Model MVSII and the EWH wire harness benches. 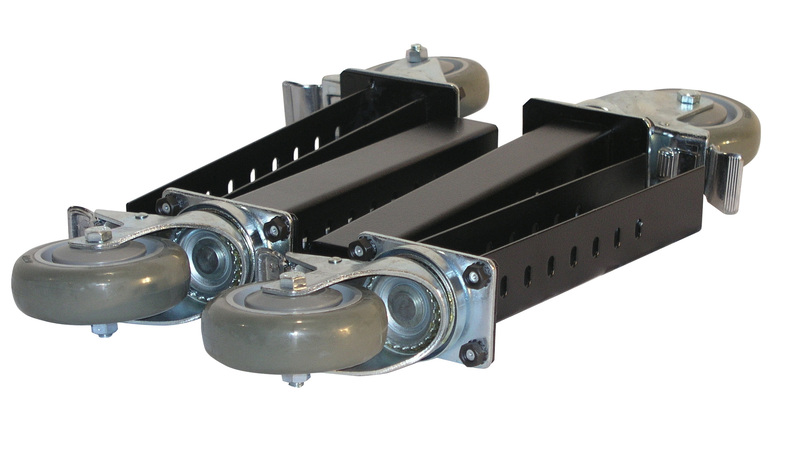 Offset casters keeps the start height of the height adjustable MVS and the electric wire harness benches the same. Standard casters for these models (TLC-4) raises the start height 4.25". Must be ordered with initial purchase. Includes total lock casters so once in place and locked your workbench is rock solid. Turn any Proline workbench into a mobile production bench.